On Sale! Through Tomorrow or While Supplies Last! Put an end to guessing which pump size will work with your particular boat. 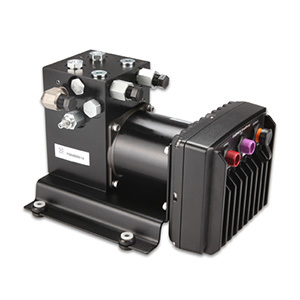 One SmartPump works for most boats and applications. You know you have the right pump for your boat for optimum control and confidence. Plus, you get complete control in a smaller size with better thermal performance, higher reliability and lower power consumption. It also includes color-coded connectors to make it very easy to install. Our SmartPump is engineered from corrosion-resistant components including black dye on aluminum parts and nickel-plating on all steel parts.